The objective of the CAiSE conferences is to provide a forum for the exchange of experience, research results, ideas and prototypes between the research community and industry, in the field of information systems engineering. 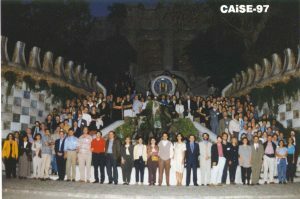 Since its start 1989 in Stockholm, CAiSE has been held in many other European countries. It annually attracts more than 300 paper submissions from more than 30 countries. CAiSE Proceedings are published in LNCS Series by Springer.